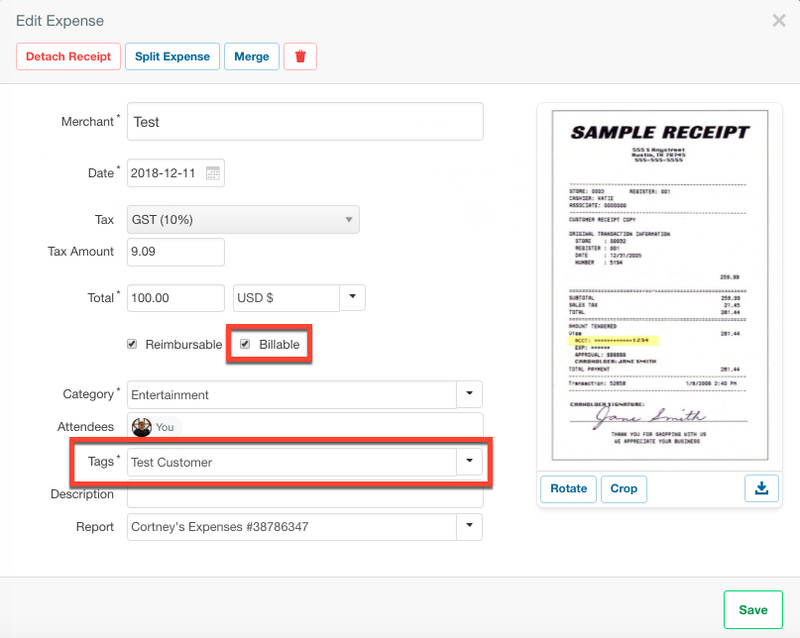 The Coding tab is where Xero information is configured for Expensify. This will allow employees to code expenses and reports accurately. After connecting Expensify with Xero, the next step is to configure how the information is shared between the two systems. 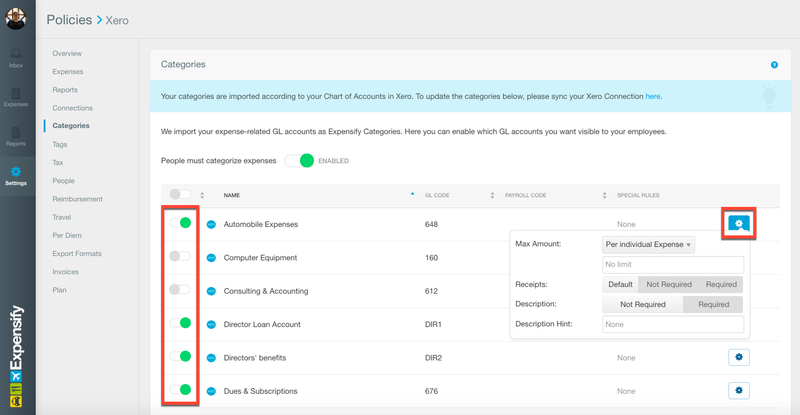 Xero expense accounts and accounts marked with "Show In Expense Claims" will be automatically imported into Expensify as Categories. After connecting, go to Settings > Policies > Groups > [Policy Name] > Categories to see the accounts imported from Xero. Use the enable/disable check-box to choose which Categories to make available to your employees. Click the blue settings cog to set Category specific rules such as maximum amount, receipts required, comments and comment hints. 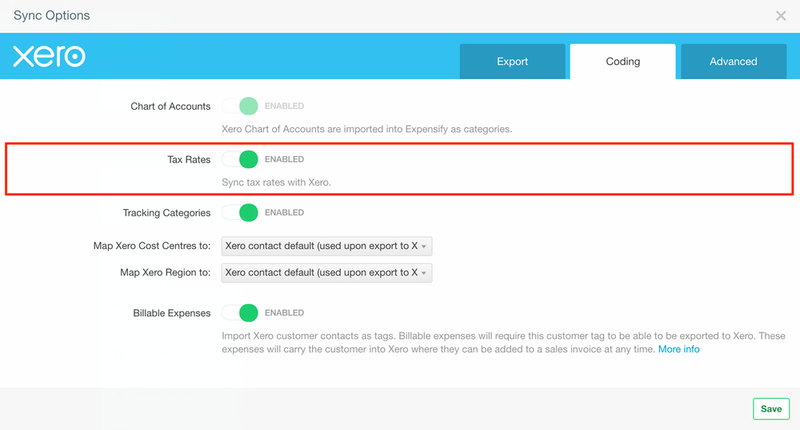 Please note that each expense has to have a category selected in order to export to Xero. The selected category has to be imported in from Xero and cannot be manually created within the policy settings. If you use Tracking categories in Xero, you can import them into Expensify as either a Tag, Report Field, or the Xero contact default. Tag applies a tracking category per expense. Report Field applies a tracking category to the whole report. Xero contact default applies the default tracking category set for the submitter in Xero. If the submitter is not set up in Xero or has no defaults set, the field will be left blank. 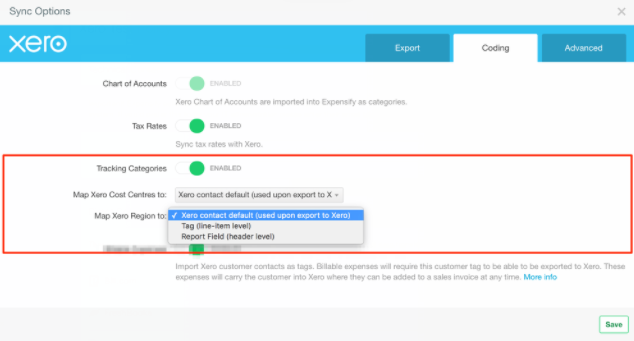 Enable Tax tracking in your Xero configuration and the taxes set up in Xero will automatically be imported into Expensify as Taxes. After connecting, go to Settings > Policies > Groups > [Policy Name] > Tax to see the taxes imported from Xero.